Poker games are guaranteed to bring the best out of online betting. Expect pure anonymity as you place your bets and fast withdrawal times when cashing out winnings at Bitcoin casinos. Prepare for entertaining and exciting gameplays in every round you wager on and journey through the variety of games skillfully created by different top-notch Bitcoin casino software and game providers. There is no denying that poker is one of the most popular card games of all time. With millions of players all over the world, poker is played online and at land-based casinos. Video poker online is set up like an arcade game or slot machine. However, the game still follows traditional poker rules, rewarding you for making up winning hands such as thee of a kind and a royal flush. There is no overall set of rules that cover all of the different video poker games around. Instead, there are a few different types of variant around; bonus poker, wild poker, deuces wild etc. Before starting any game you can check out the specific rules on it and the payouts for each type of winning hand. 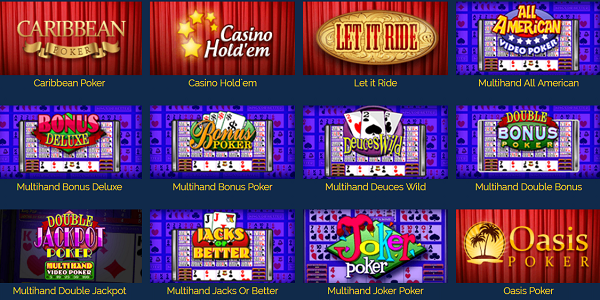 At Bitcoin casinos you will find great selection of video poker titles that and play popular games like Multihand Joker Poker, Jacks or Better, Split Way Royal and Multihand Deuces Wild. This is a type of poker variant that is based on an ancient Chinese game that is played with dominoes. In the 1980s, this classic game was re-invented for the Western market as a card game known as Pai Gow Poker. This is a twist on the Chinese original with some elements of poker added to it. You may also see it called double-hand poker, although generally it is called Pai Gow. If you want to play a poker variant that feels different and unique then Pai Gow is definitely worth taking a look at. You can get started in the usual way, by placing the amount of your bet and then asking for the cards to be dealt. Also known as Caribbean Stud Poker this is a game that first appeared around the same time as Pai Gow Poker. The name comes from the fact that it appears to have first been played in the Caribbean island of Aruba. You can find a fabulous version of Caribbean Poker at online casinos Table Games section. This is described as being kind of like a cross between video poker and blackjack. While it clearly has poker elements in it, you may be interested in this variant if you want a simple game that is easy to play and doesn’t require you to learn a lot of strategy. This poker is a slightly different version of the Caribbean Stud poker game, with very similar rules and just one major tweak to the gameplay. In this case, the big difference is that you can replace one of your cards with another if you choose to. This costs you a fee that is the same amount as your ante bet but it could be the difference between a winning hand and a losing one. It is important to note that in both Oasis Poker and Caribbean Poker, the dealer’s hand has to qualify. In this variant of poker online this means that the dealer needs to get an ace and a king or higher. Despite this, a winning hand from the dealer means that it automatically qualifies regardless of whether it has these cards or not. Besides these poker variants there are various others that you can play at any cryptocurrency online casinos like Casino Holdem, Bonus Poker Deluxe, Joker Poker, Jacks or Better Poker, 10x Deuces Poker, 100x Play, Aces and Eights Poker, Deuces Wild Progressive and many others. How to play poker at Bitcoin casinos? Playing poker at Bitcoin casino is simple process. 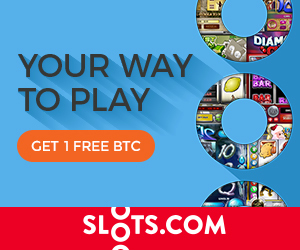 Visit any Bitcoin casino of your choice and click on the “Register” button in the top right of the page. Fill in the sign-up form and confirm your account via email if required. Click on the “Cashier” page and make a deposit using bitcoin wallet address (in order to play for real money). Click on the “Games” heading and then select “Video Poker”. Scroll through the lobby and choose a game. Once the game starts, place your bets, make some hands and bank some cash. Simple! Don’t forget to grab awesome welcome bonus when you join any Bitcoin online casino to play poker.